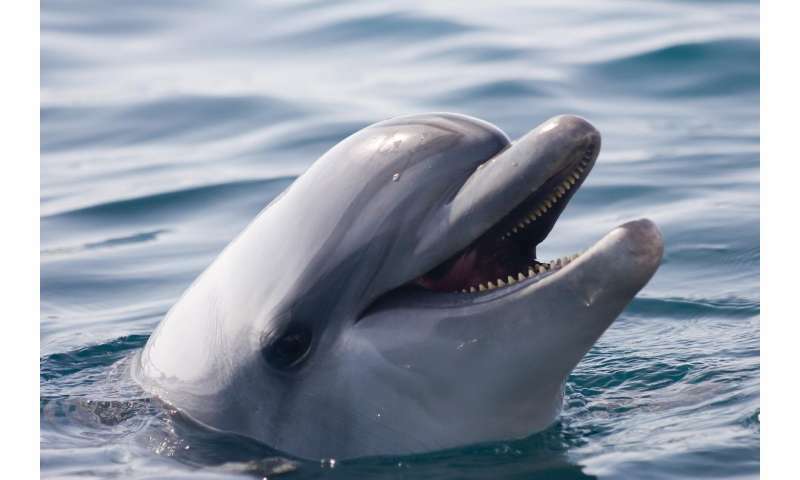 Scientists from UWA's School of Biological Sciences, the University of Zurich and Murdoch University conducted a decade of boat-based research on coastal dolphins across north-western Australia. They documented adult male Australian humpback dolphins presenting large marine sponges to females, as well as performing visual and acoustic displays. It's the first time the behaviour has been documented in this species. Their first observation was between a male and female dolphin and her calf. The male dolphin dived down to remove a large marine sponge fixed to the seafloor, balanced it on his beak and pushed it toward the female. The use of objects in sexual displays by non-human mammals is rare and the researchers believe it could be a display of the male's strength and quality as a mating partner. Lead author Dr Simon Allen from UWA's School of Biological Sciences, said the findings suggested an as yet unrecognised level of social complexity in humpback dolphins. "We were at first perplexed to witness these intriguing behavioural displays by male humpback dolphins, but as we undertook successive field trips over the years, the evidence mounted," Dr Allen said. "Here we have some of the most socially complex animals on the planet using sponges, not as a foraging tool, but as a gift, a display of his quality, or perhaps even as a threat in the behavioural contexts of socialising and mating." Co-author Dr Stephanie King said on occasion, some large adult male dolphins also appeared to be working together in pairs. "The formation of alliances between adult males for the purposes of coercing females is uncommon, since mating success cannot be shared," Dr King said. "This is a new finding for this species, and presents an exciting avenue for future research." Next the researchers hope to determine (through behavioural observation and genetics) whether or not presenting sponges and engaging in sexual displays improves an individual's chance of mating success.